BEST HOOD CLEANING offers professional restaurant hood cleaning service for commercial kitchens in restaurants, hotels, schools, hospitals and cafeterias throughout the Sacramento, California area. We know the standards and expectations for a restaurant hood cleaning service are high. BEST HOOD CLEANING is a proud provider of certified kitchen exhaust system cleaning in accordance with NFPA 96 fire codes and in compliance with all Sacramento area fire departments. Our team is full of skilled and licensed hood system professionals. 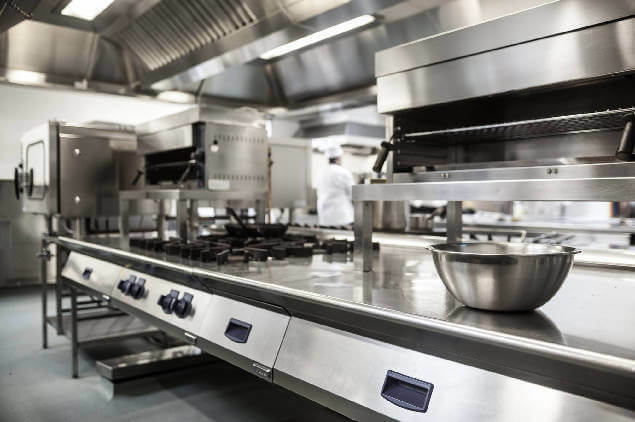 In addition to our superior service, a full kitchen cleaning provided by us will satisfy your insurance requirements for a periodic cleaning of the kitchen exhaust system in your restaurant. BEST HOOD CLEANING is more than just a business that cleans kitchen hood systems. We can really dive into your business and leave it looking brand-spanking new. 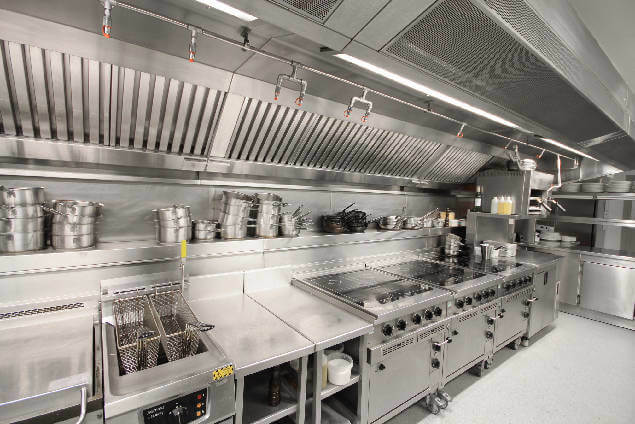 We can also offer restaurant equipment cleaning service, steam cleaning, pressure washing, preventative maintenance for exhaust fans, filter replacement, exhaust fan hinges, rooftop grease containment, and cooking oil filtration. 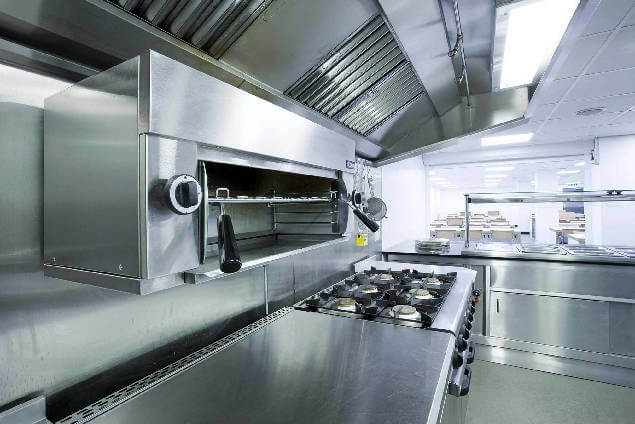 Though exhaust hood cleaning is our expertise, we want to help out business owners as much as possible. We can help you make your kitchen shine like new. You’ll impress customers, managers, and inspectors immediately with a sparkling kitchen area. If you’re interested in any kitchen cleaning services in the Sacramento area, please give us a call at 916-347-5300. We will schedule a time that is convenient for you. Oh c’mon, you’re asking us to brag? OK, if you insist. BEST HOOD CLEANING has its name for a reason. By choosing BEST HOOD CLEANING, you’ll be getting the best kitchen equipment cleaning service in the Sacramento area. We outshine the competition by performing a thorough inspection of your kitchen hood system and educating you every step of the way. Grease fires are one of the most common types of fires among restaurants, because let’s be honest, time gets away from us and it’s easy to overlook the dangers of grease build up. 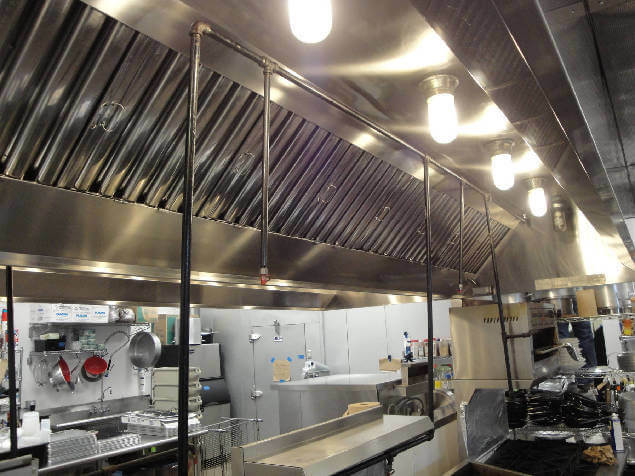 Our technicians are certified kitchen exhaust system cleaners and are knowledgeable. They can inspect the unseen areas of your kitchen exhaust system and determine what could be a fire hazard. We will educate you of this and explain preventative measures to take in the future. Then we will address the situation. We know that commercial kitchens cannot afford to mess up and that’s why we take our work very seriously. We will inspect and clean your entire system in accordance with NFPA Standard-96 and kitchen hood system health department regulations.We will evaluate every last inch of your system thoroughly, including the exhaust fan on the roof and all the duct work in between. 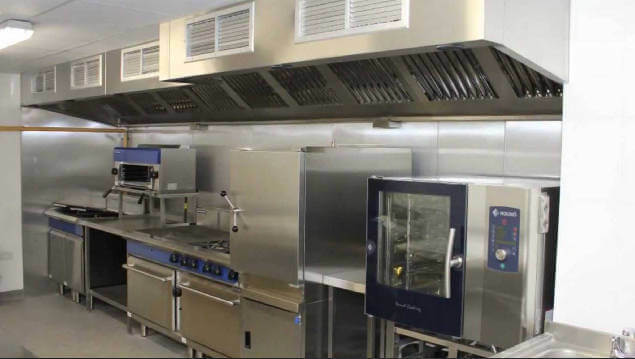 You can count on us to offer a solution for your commercial kitchen needs. And by the way, we won’t show up to your business looking like dirtballs. We’ll always maintain a professional appearance and attitude. We will treat you, your employees, customers and property with respect. IS IT TIME FOR A CLEANING OR A CHECK-UP? How do you know when it’s time to get the restaurant hood cleaning service d or checked out? While some of these symptoms may seem minor, they can be the warning signs of a grease fire or other potential hazards. Grease on a rooftop will quickly deteriorate a roof. You may have leaks and a caving in roof before you even realize what happened. Not only does grease build up present the risk of fire or building corrosion, but it also attracts unwanted pests and odors. That’s why its so important to have your commercial kitchen exhaust system regularly cleaned and maintained by professionals. Fire marshals, insurance companies and health inspectors have commercial kitchen cleaning & restaurant hood cleaning service requirements. As a general rule, restaurant managers should have a professional kitchen cleaning service come in every 90 days. However, every restaurant is different, and if you’re looking for an accurate commercial kitchen cleaning schedule requirement, consult your insurance company or your local board of health. So let’s talk! Give us a call at 916-347-5300 to discuss your needs and we will schedule an appointment to visit your location.Get ready to work with the best restaurant hood cleaning service in Sacramento.